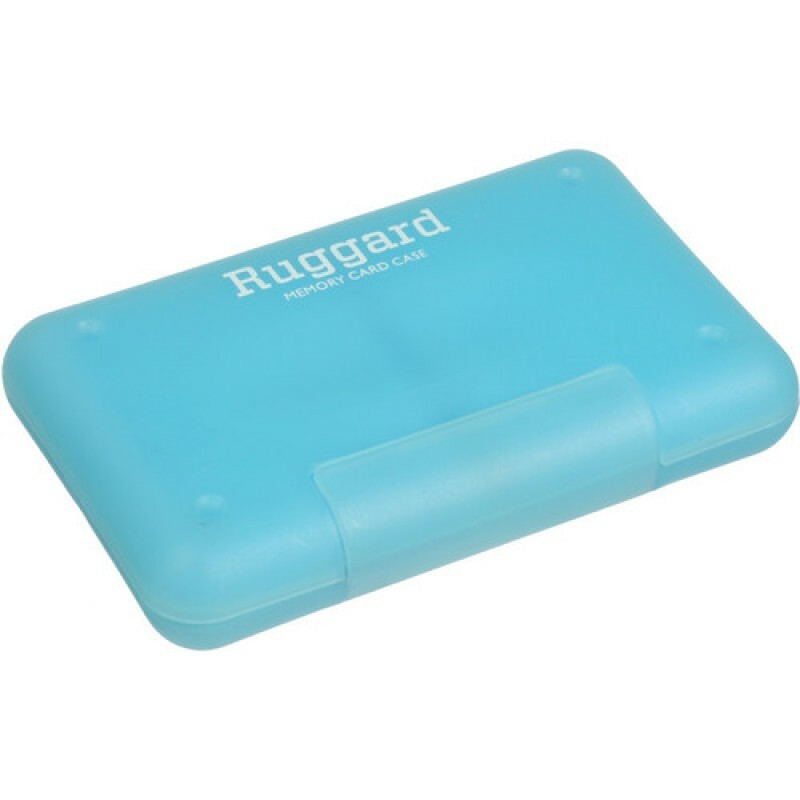 The light blue Memory Card Case for 8 SD Cards from Ruggard is a hard plastic case with a custom fit molded rubber interior. 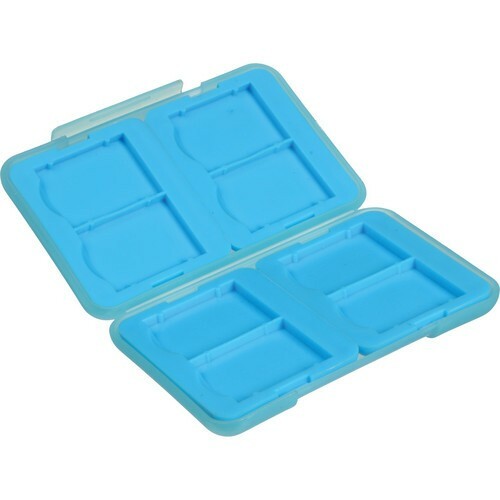 The case is designed to protect your cards from shock, dust and dirt. A snap closure holds the case firmly shut. 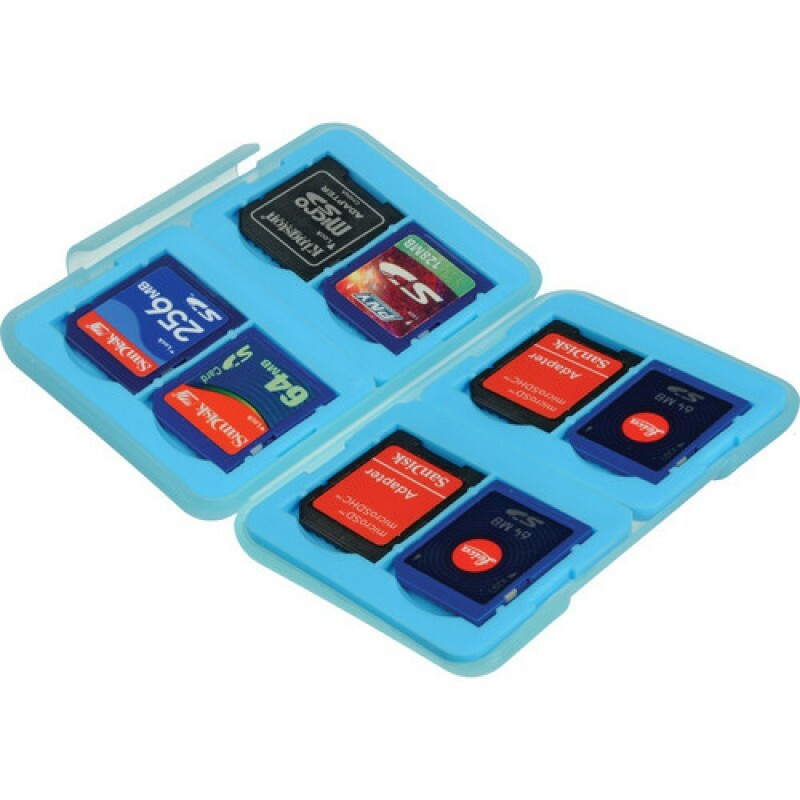 Box Dimensions (LxWxH) 5.5 x 4.8 x 0.9"
The SD card fits very securely in the rubber which holds it the sd card very snugly and ensures even if the case gets banged up the cards won't fly around inside the case. The exterior is hard and very durable so I know it will provide good protection. I don't love the color but to me good protections is more important than my favorite color. I recommend this product very highly!